1. What is Remote Validation in ASP.NET MVC5? 2. How to apply Remote Validation? 3. 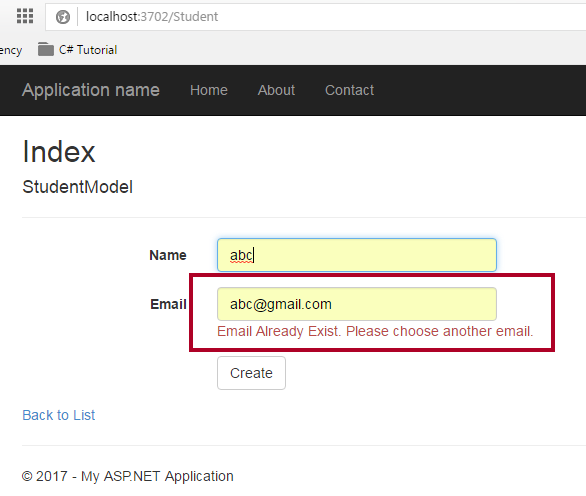 How to check input field instantly in asp.net form? What is Remote Validation in ASP.NET MVC5? Remote Validation is a technique of validating only particular input field without posting the entire form to the server. It is very helpful for instant checking of an input field. 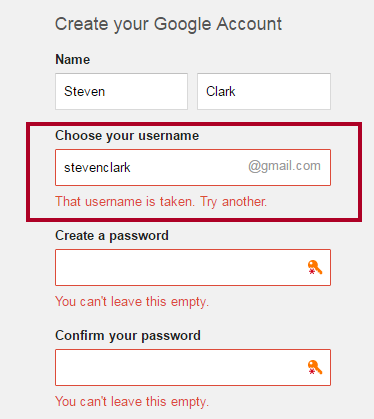 You might notice this feature when creating an account in Gmail. As you jump out from the email input field, it instantly checks for existence email id and if it already found in the database, it suggests you choose another email id. 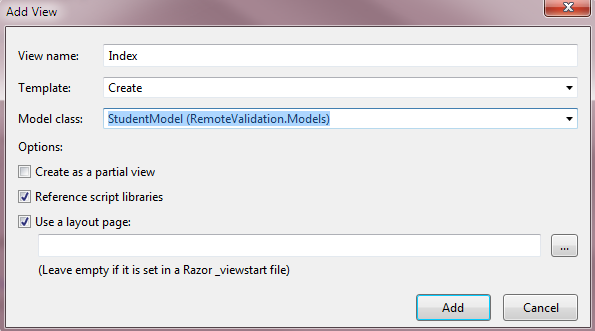 How to apply Remote Validation in ASP.NET MVC 5? When you apply remote validation in asp.net MVC input field, this field will be able to update itself with respective action method. Here, I am taking an example of same like Gmail Account, and check whether the provided email id already exists or not. You can see that I have used Remote attribute just before the Email properties. I have used 3 parameters in this. 1. IsEmailExist is an action method which instantly check whether Email is already exist or not. 2. Student is a controller name. 3. ErrorMessage string returns the message if email matched. 1. Index method returns the view of StudentModel. 2. IsEmailExist checks whether the mail exist or not. Create View. Right click on Index Action method from StudentController and select Add view. Step 5: Select Create Template and StudentModel as shown in the picture below. Here is my Index.cshtml page. Step 6: Run the project. In this chapter, you learned how to use remote validation in ASP.NET MVC5 for instant checking of an input field. In the next chapter, you will learn the complete set of HTML Helper in ASP.NET MVC5.